West End Calling is a talent competition for those under 21. It offers these young performers a chance to perform in front of West End performers and get valuable feedback before ending up at the final at The Other Palace. I attended the Senior final. To get this far the finalists have already been through an audition, either in London, Brighton or Manchester, a further 2 heats. The prize for the winner is a place on an Arts Ed summer school. With 12 people reaching the Senior final, the pressure was on. Judges for the final of West End Calling were Paul Wilkins (currently Marius in Les Miserables), Danielle Hope (former winner of Over The Rainbow as has payed numerous roles such as Eponine in Les Miserables, Sandy in Grease and Narrator in Joseph) and Nathan Amzi (currently in One Flew Over the Cuckoo’s Nest and previously performed in In The Heights, Aladdin and Rock of Ages). The show contained a huge variety of musical theatre songs with everything from ‘No Good Deed’ from Wicked to ‘In My Dreams’ from Anastasia and from ‘She Used to be Mine’ from Waitress to ‘Gimme Gimme’ from Thoroughly Modern Millie. The contrasting songs kept the evening varied and the band helped ensure that the sound was as professional as possible. Oscar Conlon-Morrey hosted the event and kicked the event off with ‘I am Aldolpho’ from The Drowsy Chaperone. This is a man who knows what songs suit him perfectly and how to entertain the audience through his song choice. Throughout the evening some of his jokes were so bad they were good! These performers were very well deserving. Aiden’s voice in particular gave me chills and Bryony had a beautiful way of acting through song. Megan seemingly had it all, acted beautifully and had a voice I could listen to for ages. I also must mention Georgia Jowett who sang Gimme Gimme. She immediately grabbed my attention with her energy. A highlight of the evening for me was listening to the judge’s feedback. They all provided really insightful critique to all of the performers. They came across as really knowing and understanding their own craft whist being encouraging to all of the performers. My main criticism of the event was nothing to do with the performers but stemming from the organisation. The show overran by a considerable amount and it also meant that the judges during their critique of the last few performers were rushed. I would therefore suggest either having slightly fewer performers or having a more realistic expectation as to the running time. I do hope that there were some agents in the audience or even someone from the admissions department of the countries leading drama schools. 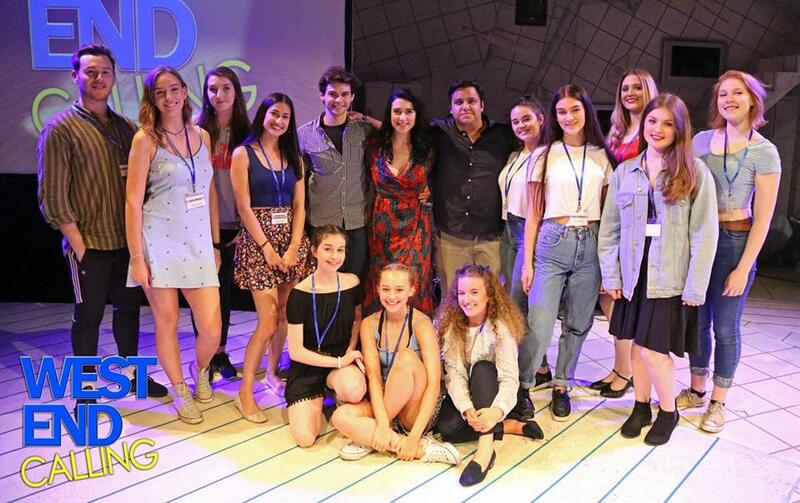 If these young performers are the future of British Musical Theatre then the future is going to be very bright indeed. To find out more about West End Calling and maybe enter their 2019 competition visit their website. If you liked this write up you might also like my review of Bat Out Of Hell, Matilda and Strictly Ballroom.